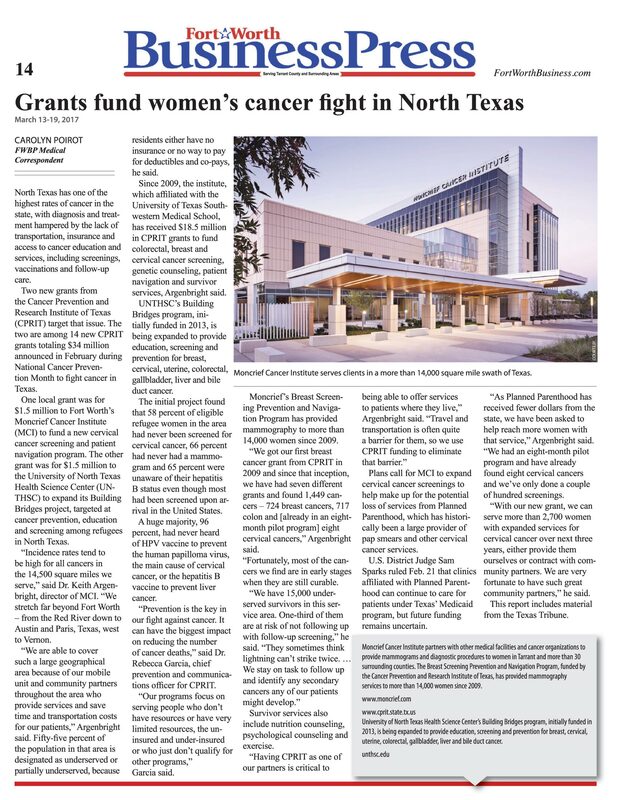 New state grants from the Cancer Prevention and Research Institute of Texas help Moncrief fight women's cancer, says medical correspondent Carolyn Poirot in Fort Worth Business. The fight against cancer is a wide battlefield involving Prevention, Survivorship and Research; that's where the Moncrief Cancer Institute mission begins. 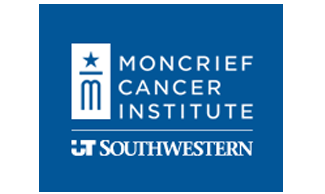 At Moncrief Cancer Institute we specialize in providing prevention, survivorship and support services important to defeating cancer and limiting its impact on your life.